Chicago police are praising a very good dog on the force, after one of their K-9s made a $10 million pot bust this weekend. 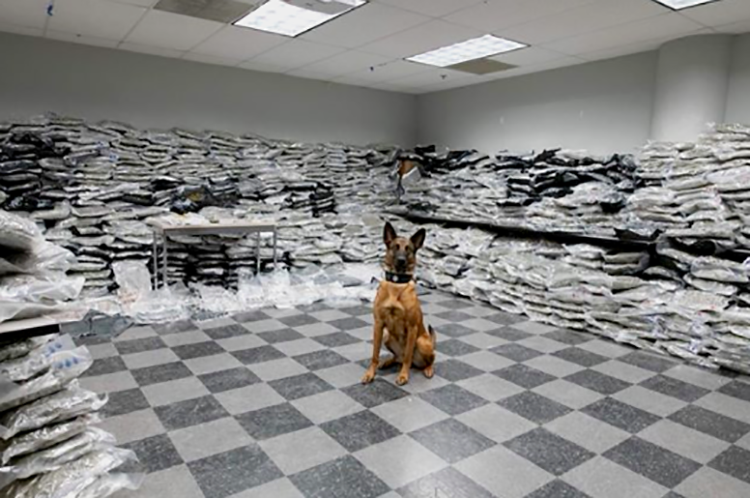 The police dog smelled drugs in a vehicle and trailer pulled over by Narcotics Unit officers, and investigators ended up seizing more than 1,500 pounds of marijuana. Police also recovered other cannabis products and paraphernalia from the vehicle. Police posted pictures of their dog and his bounty on Facebook, and the post has been shared more than 5,000 times. The photos show bags of marijuana piled high in an evidence room. Police said the bust stemmed from a narcotics investigation that already was underway. Officers stopped a vehicle and trailer suspected of being involved in drug trafficking. Their K-9 then sniffed out the marijuana, and police arrested the driver immediately. 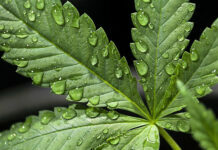 The driver, 42-year-old Jason Tanner of Lakehead, Calif., was charged with possession of more than 5,000 grams of marijuana. Investigators said the drugs had just arrived in Chicago from California. Chicago police said they are still investigating the case with the help of DEA agents in California.